What a weekend. I’m still exhausted and really have no idea how I made it to work on time this morning! I have a race recap in the works, but for now I’ll just fill in the rest of the weekend. Post-race on Saturday was filled with pancakes, bananas, vitamin water and ice baths. My sister and brother in law headed out of town right as our next weekend visitor was arriving. Pizza was eaten, beers were drank, pool was played (I am a TERRIBLE pool player!) and lots of fun was had. We stayed up far too late, especially given that I had woken up @ 5:32a, but it was a fantastic night. I managed to be lazy for the first few hours of Sunday but then I realized that our house was a disaster and despite my tired legs I couldn’t (and shouldn’t!) just lay around all day. 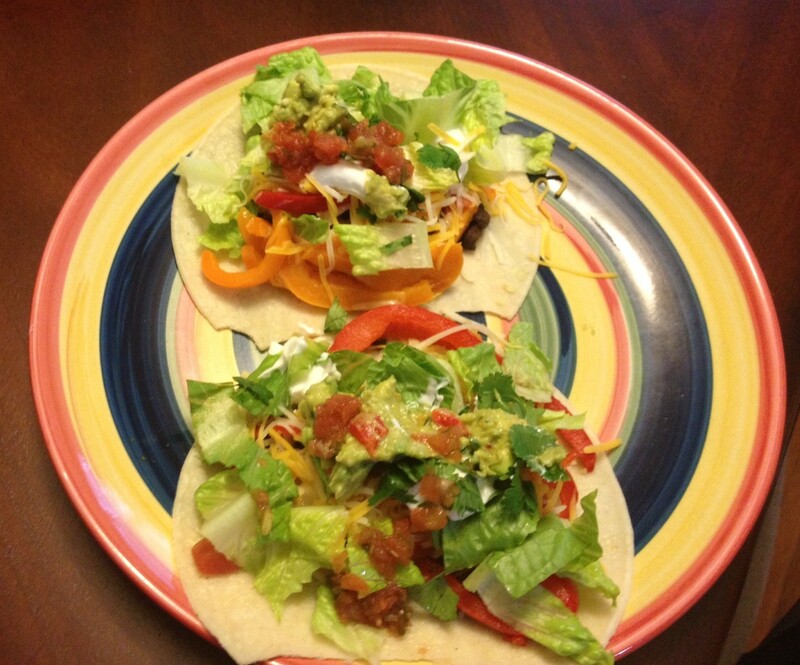 I did a marathon cleaning session and started prepping foods for our mini Cinco de Mayo party. 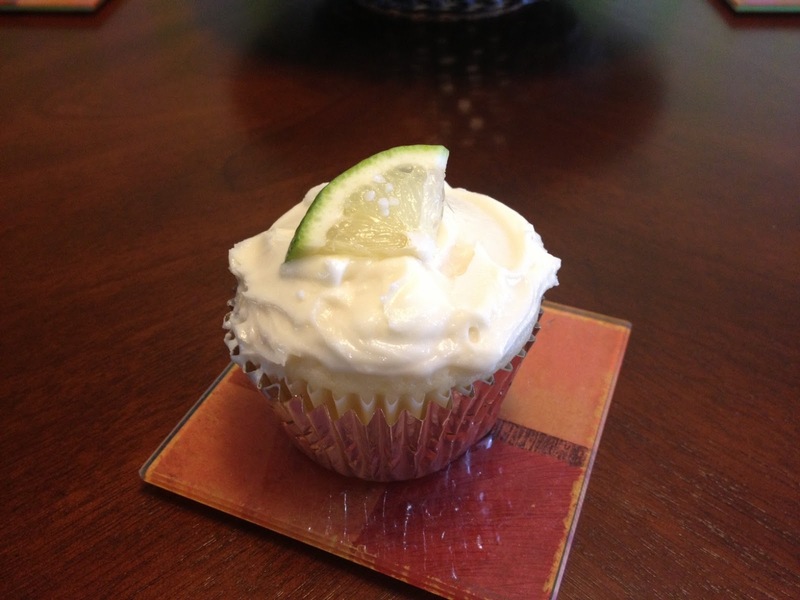 The menu was pretty simple- homemade guacamole, veggie fajitas, margarita cupcakes and fresh margaritas for drinking. 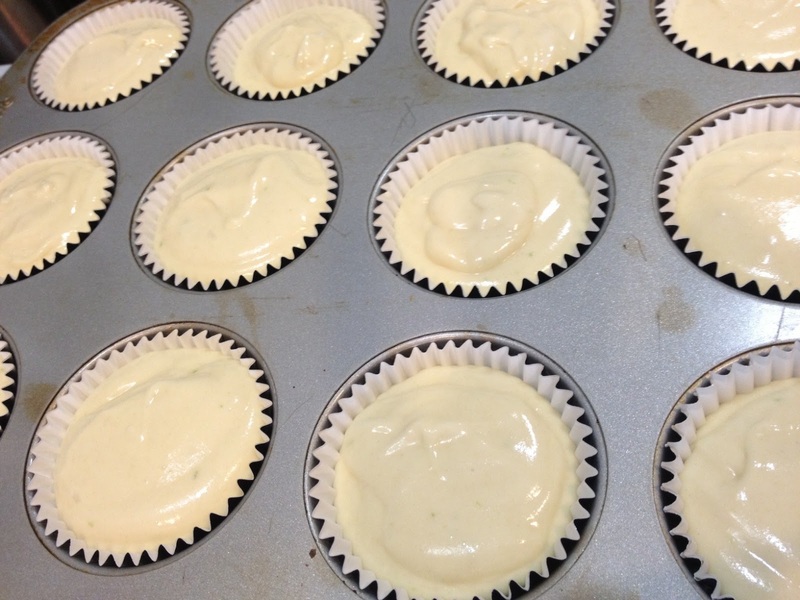 As expected the cupcakes were the star of the show, though my guacamole gave them a run for the money (my secret ingredient- finely diced home roasted red pepper, it just makes it extra special). 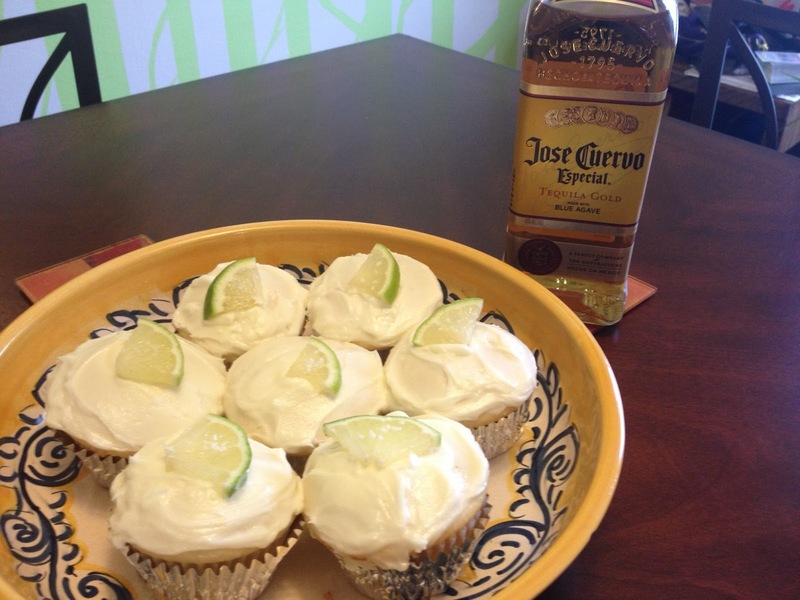 After the success of my Irish Car Bomb cupcakes, I knew I wanted to have similarly festive alcohol-infused cupcake. 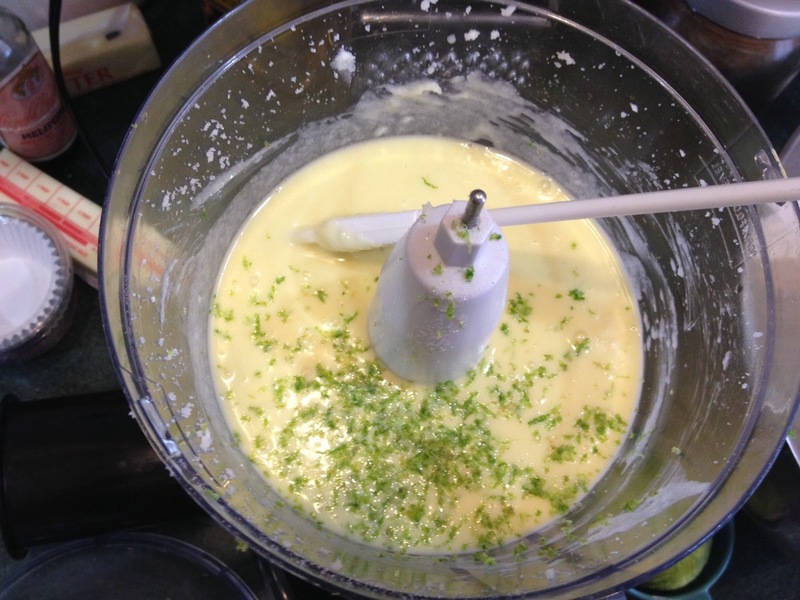 Luckily, the Brown Eyed Baker had a delicious (and easy) sounding recipe. I followed her recipe to a T and the only thing I didn’t love was the frosting, but I think that’s really just my own issue with basic buttercreams since all my taste testers were fans. Now that I’m baking a bit more frequently I think I need to start playing with new frostings. I really need to work on equally filling my cupcakes. We ate real food first. Garnished with a lime wedge and a dash of course salt. Cinco de Mayo ended a bit early since I may have fallen asleep during a movie that we were watching. Sorry friends! You aren’t boring, I was just exhausted. A perfect end to a pretty great weekend. That looks like a really fun party! And congrats on the PR. You'll get that sub-2 next time. that's really close. Can't wait to read the recap.